All types of industries and facilities trust Red River Sanitors to provide facility maintenance with our experienced, trained staff. We operate across Louisiana, Texas and Arkansas with commercial and office cleaning services at competitive prices, and never compromising on quality. 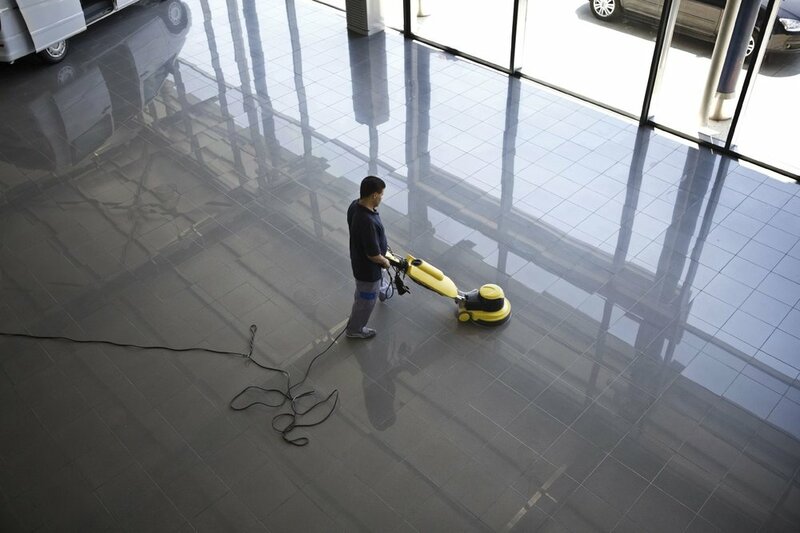 We are a leading provider with a long-standing reputation for superior, dependable janitorial service. We clean all desks, break rooms, conference rooms, restrooms, kitchens, remove trash, clean floors and glass, and dust, leaving your office spotless. We have years of experience in various industrial settings and extensive training to ensure safety and high standards, and to keep your facility running smoothly. We keep medical facilities, doctors' offices and clinics clean and germ-free to protect your employees and your patients. Experienced employees use care to eliminate construction dust and are skilled in operating the right equipment to pick up large debris. We clean classrooms, break rooms, common areas, restrooms, floors, glass, and remove trash. We provide landscaping services to commercial clients to keep the exteriors of office buildings and other facilities well-groomed and leaving a great first impression.